The Massachusetts industrial market continues to gain steam through the second quarter of 2016, which is good news for owners of industrial buildings for sale in massachusetts. The quarter’s net absorption rate is up to 1.27 million square feet. The greater Boston industrial real estate vacancy rate is a mere 8.7 percent. The fact that the Boston industrial market’s vacancy rate has reached a 15-year low is a testament to the strong potency of the local economic rebound. Those who own industrial real estate in the greater Boston area are certainly benefiting from the considerable uptick in demand and general lack of space availability. On average, these owners of industrial buildings for sale in Massachusetts have raised rents by more than 10 percent over the past year. Most Boston industrial market experts point to the area’s growing e-commerce sector and local housing market rebound as the driving forces behind increased demand. Yet the continued emergence of the life science industry has also helped, fueling a whopping 2.3 million square feet of industrial space absorption in the last year alone. Boston industrial market lease rates have increased more than 11 percent in the past year. They currently sit at $8.26 per square foot. The Route 128 market is especially tight with a second quarter vacancy rate of 7.3 percent. There has been a net absorption rate of almost 900,000 square feet this year alone. Firm demand for warehouse and distribution spaces continues to increase. Some point to the strength of the local housing market as part of the reason why Boston’s self-storage sector has grown. The Boston industrial market’s warehouse vacancy rate is a mere 7.7 percent. Local real estate experts believe the growth of e-commerce partially explains why the Boston industrial market’s warehouse/distribution vacancies are decreasing so rapidly. More and more consumers are abandoning traditional brick and mortar retail outlets in favor of comparably convenient online shopping. Even R&D/flex properties in Boston, Cambridge and surrounding suburbs have fairly low vacancy rates thanks to heightened demand from life sciences companies. All in all, the vacancies for such properties are right around 12 percent as of the end of the second quarter. This development has spurred plenty of building developers to renovate their antiquated properties in hopes of attracting new tenants. As an example, consider the $10 million redevelopment project of Upland at Norwood. The 184,868 square foot site is currently being redeveloped into a Class A office space that will span just under 200,000 square feet. Amazon and FedEx are also expanding in the local market. Amazon recently signed a lease for a 26,700 square foot space on Northampton Street. FedEx is in the midst of establishing a Quincy warehouse. Yet the second quarter’s most noteworthy warehouse deal was Costa Provisions’ purchase of 80 Stockwell Drive. The Avon site spans nearly 250,000 square feet and cost just under $10 million. 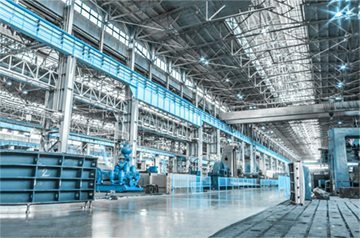 Though manufacturing is struggling in some parts of the country, local manufacturing space vacancy rates dipped to a mere 5.4 percent. Drug manufacturing is especially hot with Alnylam Pharmaceuticals breaking ground on a new 200,00 square foot site in Norton. Pfizer also recently initiated construction on a 175,000 square foot site in Andover. If you would like more information regarding industrial buildings for sale in Massachusetts, contact Jeremy Cyrier at jeremy@mansardcre.com or by phone at 617-674-2043. At MANSARD, we believe your property is valuable not only to you as its current owner, but to the community, and to its next owner. Our mission is to find the right buyer for your property and provide a smooth transition of ownership. Our clients have gotten their agreed-upon sale price and on-time closings in 88.9% of cases. Copyright & Copy 2018 by MANSARD. All Rights Reserved.